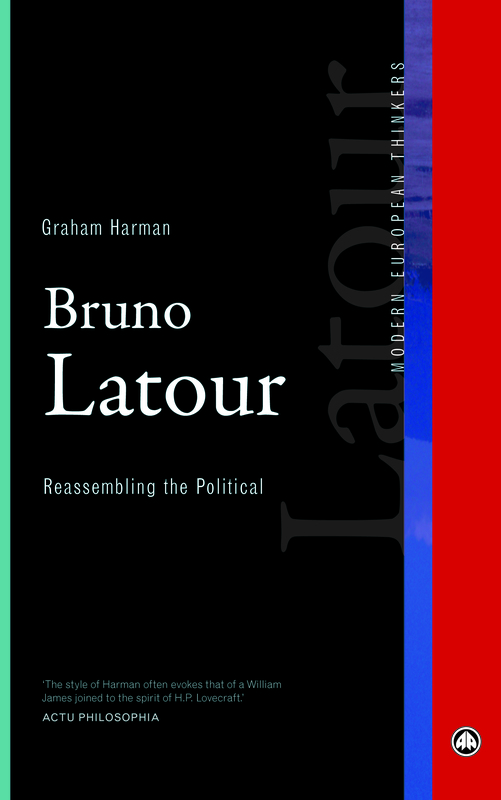 Nigel Clark’s review of Prince of Networks: Bruno Latour and Metaphysics and The Prince and the Wolf: Latour and Harman at the LSE in the August 2013 issue of Contemporary Political Theory [PDF]. Timothy Morton’s new book, Realist Magic: Objects, Ontology, Causality, is the latest in the New Metaphysics series at Open Humanities Press. The open access HTML version is now available here. PDF and paperback to follow. Object-oriented ontology offers a startlingly fresh way to think about causality that takes into account developments in physics since 1900. Causality, argues, OOO, is aesthetic. 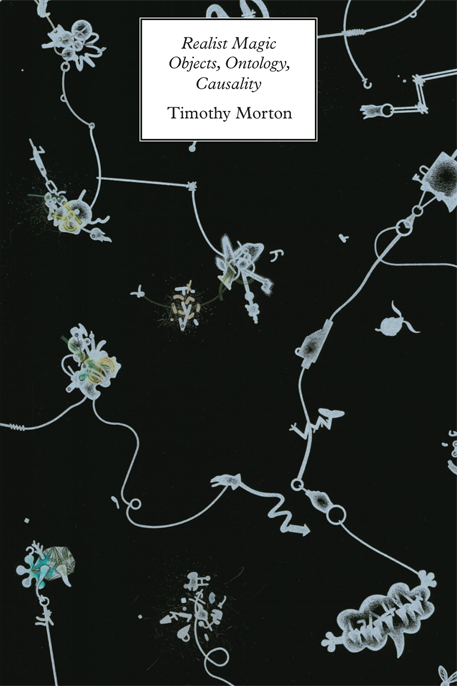 In this book, Timothy Morton explores what it means to say that a thing has come into being, that it is persisting, and that it has ended. Drawing from examples in physics, biology, ecology, art, literature and music, Morton demonstrates the counterintuitive yet elegant explanatory power of OOO for thinking causality. Cover art by Tammy Lu, cover design by Katherine Gillieson. By Stephen Muecke: “‘I am what I am attached to’: On Bruno Latour’s ‘Inquiry into the Modes of Existence. '” Los Angeles Review of Books, December 28th, 2012. His new book, Enquête sur les modes d’existence (An Inquiry into the Modes of Existence), sold out of the first print run of 4,000 in 10 days. But it is not just a book; it is also a project in interactive metaphysics. In other words, a book, plus website. (Unheard of! A French philosopher using the Internet!) Intrigued readers of Latour’s text can go online and find themselves drawn into a collaborative project (so far only in French, but the English web pages will be up soon, and Catherine Porter’s translation of the book will be out from Harvard University Press in the spring). Simply register on the site, and you are free to offer commentary, counter-examples, snippets of movies, images, whatever. You may possibly graduate to the status of co-researcher, and even be invited to a workshop in Paris down the line, to thrash out the thornier problems. Published in 1999, Muriel Combes’s succinct book remains to this day the best introduction to Simondon’s opus. But it does better: it introduces through Simondon the most contemporary stakes of an ontology of relation turned toward a politics of individuation. With remarkable concision, Combes covers the entirety of Simondon’s work, from his breathtaking theory of individuation to his philosophy of technology and technical objects, while LaMarre’s afterword helpfully links Combes’s account of Simondon to the work of authors such as Michel Foucault, Giorgio Agamben, Bruno Latour, and Isabelle Stengers. Gilbert Simondon was one of the most ambitious and inventive thinkers of twentieth-century philosophy but has for too long been unjustly neglected. Muriel Combes’s insightful book unquestionably ends this phase. Check out Noortje Marres’s new book, Material Participation: Technology, the Environment and Everyday Publics from Palgrave. A recording of the book launch (involving Javier Lezaun (Oxford), Celia Lury (Warwick), Alex Wilkie (Goldsmiths) and moderated by Monika Krause (Goldsmiths)) can be listened to here. What is the role of things in political participation? This innovative book develops a fresh perspective on everyday forms of engagement, one that foregrounds the role of objects, technology and settings in public involvement. It makes a distinctive contribution to debates about the role of things in democracy, but it also offers empirical analyses of contemporary devices of participation, such as smart meters, demonstrational eco-homes and sustainable living gadgets. The third volume of the Handbook of Science and Technology Studies is in the making. You can make suggestions regarding the content here. …to be more precise, at the Piotrovsky Bookstore in Perm, books on speculative realism, ANT and the like are part of the effort to restore “book culture to its height during the Soviet times.” Hat tip OOP. Das Netzwerk von Bruno Latour: Die Akteur-Netzwerk-Theorie zwischen Science & Technology Studies und poststrukturalistischer Soziologie (June 2012) by Matthias Wieser (can be previewed electronically here). Die Akteur-Netzwerk-Theorie (ANT) ist durch die Schriften von Bruno Latour der vielleicht umstrittenste und zugleich fruchtbarste Ansatz in den zeitgenössischen Sozial- und Kulturwissenschaften. Dieses Buch zeigt, dass die theoretischen Potenziale des Denkens Latours und der ANT weit über die Wissenschafts- und Technikforschung hinaus in der allgemeinen Sozialtheorie liegen. Matthias Wieser rekonstruiert die ANT theoriehistorisch im Rahmen der Wissenschafts- und Technikforschung und zeigt zudem, wie sie sich auch sozialtheoretisch als poststrukturalistische Soziologie verstehen lässt. Darüber hinaus werden weiter reichende Anschlüsse und Bezüge zwischen ANT und Medienforschung, Theorien sozialer Praktiken und Cultural Studies herausgestellt. Matthias Wieser (Dr. phil.) ist Postdoc-Assistent am Institut für Medien- und Kommunikationswissenschaft der Alpen-Adria-Universität Klagenfurt.